Being a well-established organization, we are presenting a wide range of Welded Mesh for Factory Construction. The offered welded mesh is manufactured by using modern technology and quality tested raw material as per the set industry standards. 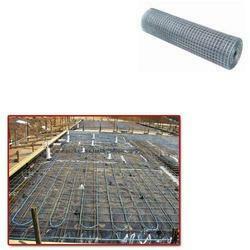 Our provided welded mesh is quality tested on different parameters so as to ensure its quality. Moreover, this welded mesh is available in various sizes, length and thickness as per clients' specifications. 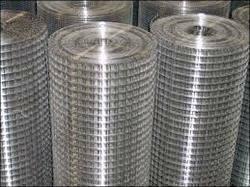 We are the prominent manufacturer and exporter of Welded Wire Mesh, which is highly demanded for being made from exceptional quality stainless steel. The product is resistant to acids, alkalis and corrosion. 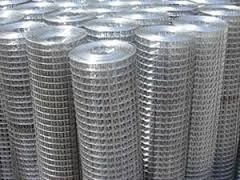 It is used as a filter in chemical, plastic, grain and rubber industries. We hold expertise in manufacturing square or rectangular Welded Wire. These are manufactured using mild steel wire, stainless steel wire and gi wire to ensure these suit the fencing requirements of high security sites, schools and industrial parks. Looking for Welded Mesh for Factory Construction ?